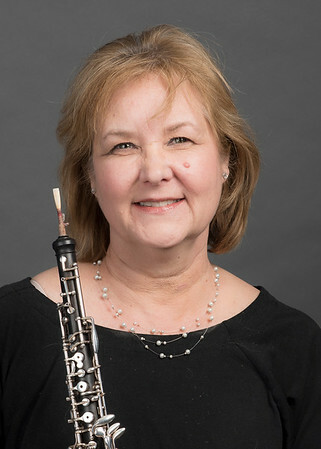 Cynthia Babin Anderson, Professor of Oboe and Music Theory, received her Master of Music degree from The Manhattan School of Music, where she studied with Joseph Robinson and Tom Stacy. She received a Bachelor’s degree in Music Education from Northwestern University, studying with Ray Still. She performed as Principal Oboe with the Mexico City Philharmonic, and has performed with orchestras in Italy, Mexico, New York, and Pittsburgh. She has performed on oboe d’amore in Holland and at several international conferences with the Aiolos Collective, a double reed ensemble of international musicians, and has recorded a CD of original music for that ensemble. She currently plays oboe and English horn with the Pittsburgh Opera, the Pittsburgh Ballet Theater, the Pittsburgh Civic Light Opera, and Pittsburgh Broadway Series orchestras. In August 2001, she was co-host of the 30th Annual Conference of the International Double Reed Society, held at West Virginia University.